U.S. Secretary of State Mike Pompeo spoke with Saudi Crown Prince Mohammed bin Salman by phone on Monday to discuss the situations in Syria, Iraq, Afghanistan and Yemen, the U.S. State Department said in a statement. 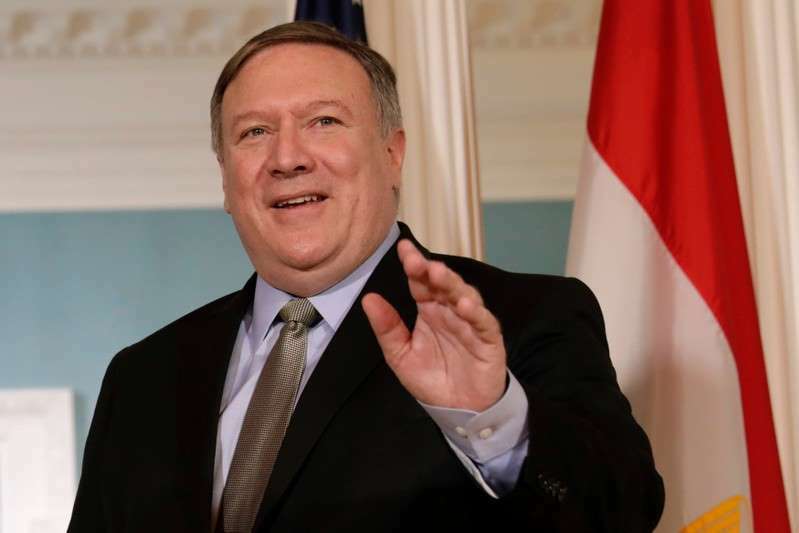 [post_ads]It said Pompeo thanked the crown prince "for Saudi Arabia's support for northeast Syria's urgent stabilization needs" and Riyadh's "engagement with the Iraqi government." They also "discussed their support for a ceasefire in Afghanistan over the coming Eid, and peace in Afghanistan more broadly. They also reviewed the UN Special Envoy's work to resolve the conflict in Yemen and other topics of mutual interest," the statement said.